UPSC Geologist and Geo-Scientist Admit Card 2019 – Union Public Service Commission (UPSC) will release the UPSC Geologist and Geo-Scientist 2019 Admit Card. The admit card will be released in the 2nd week of June 2019. For downloading the UPSC Geologist and Geo-Scientist Admit Card 2019 candidates have to enter the login credentials such as registration id / roll number and date of birth on the login page. At first, a written examination of UPSC Geologist and Geo-Scientist from June 28 to 30, 2019 will be conducted so first for that UPSC Geologist and Geo-Scientist Admit Card 2019 will be issued. For each test, a separate hall ticket will be issued. Check the entire details of UPSC Geologist and Geo-Scientist Admit Card 2019 from this page. 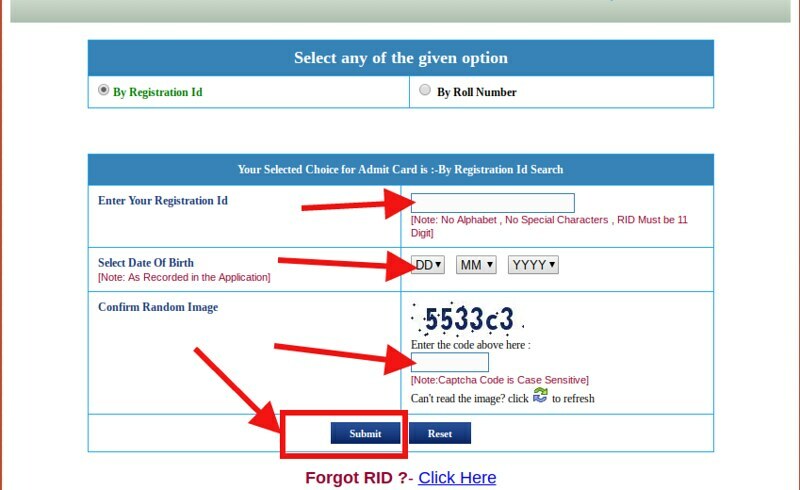 The candidates can only use online mode for downloading the admit card. UPSC Geologist and Geo-Scientist Admit Card will be not sent by post and email id. For more information regarding UPSC Geologist and Geo-Scientist Admit Card 2019 check the schedule given below. 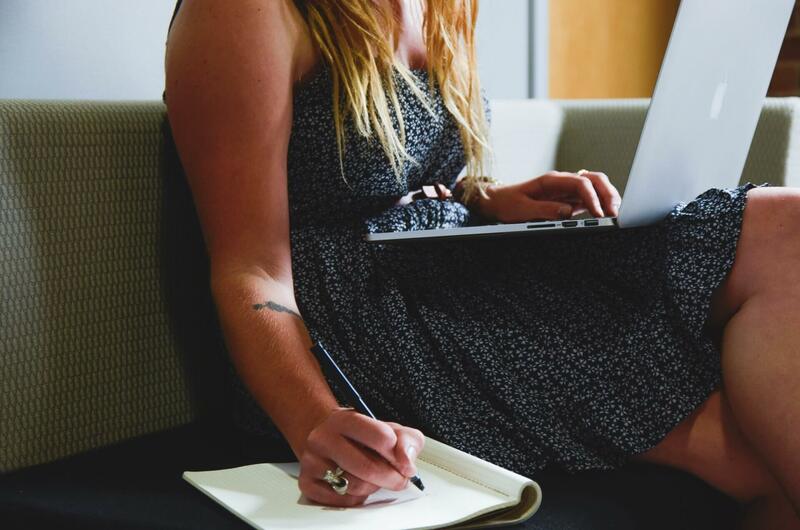 How To Download UPSC Geologist and Geo-Scientist Admit Card 2019? Click on the above-provided link (as the admit card will be released direct link will be provided above). Thereafter, the page will open which will look like the same as the image is given. First candidates should read the instructions given on the page then after that click on the yes button. After clicking on the “Yes” button, the new page will open where you will find two option to download the Admit Card the candidate can choose one option either Registration ID or Roll Number. After choosing any one of the Option, next page will open in that the candidates first have to enter the detail of the selected option like if you have chosen By Registration id then your enter registration id. Apart from this candidates have to enter the Date of Birth and captcha. This step is the same for both options but if you will select By roll number option that you have to enter your roll number. For downloading the e-Admission Certificate/e-Admit Card the candidate must have his/her vital parameters Date of Birth or roll no (if received) with him/her. After entering all the details click on the submit button. 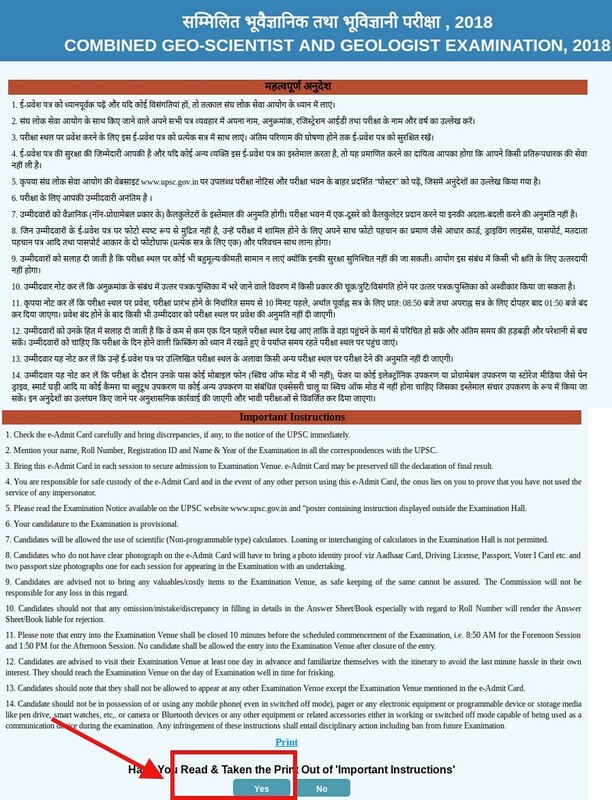 From below candidates can check the details which are mentioned on the UPSC Geologist and Geo-Scientist Admit Card. What If Candidates Are Unable To Download UPSC Geologist & Geo-Scientist Admit Card 2019? When the admit card released, then due to heavy traffic sometimes candidates face the problem downloading the candidates. In this situation, candidates should refresh the login page once and after submitting the login credential should wait up to when the processing will over or should give a try after some time. If then to the candidates face the problem while downloading the admit card then it means due to technical error admit card is not downloading in this case candidates should immediately contact the commission at the below mentioned contact. Discrepancy In UPSC Geologist & Geo-Scientist Admit Card 2019? After downloading the admit card candidates should check the details mentioned on it properly. If the admit card is containing any incorrect details and if the details mentioned on the admit card is not matching from the details which you have entered in the application form than candidates should immediately contact Commission. Last year UPSC Geologist & Geoscientist 2018 Exam took place in all over India at the below mentioned cities. Candidates can check the last year center’s name from below. What To Carry On The Day Of UPSC Geologist & Geo-Scientist Examination 2019? What Not To Carry In The UPSC Geologist & Geo-Scientist Examination 2019? The candidates should not carry the following subject in the examination hall of the RSMSSB Junior Instructor Exam. If the candidates found carrying the below mentioned subjects on the day of the examination those candidatures will be canceled. The applicants should reach the examination center on time. The candidates should reach the exam center at least 1.5 hours before the start of the exam. The concerned officials at the exam center will fist do the checking of the applicants in order to assure they are not carrying any unwanted items. Candidates should follow the instructions given by the Invigilator. Without taking approval from the Invigilator candidates should not leave the examination hall.